Thank you for dropping by my website. A warm welcome to yoganorfolk.com and my studio ‘The Bhuti Yoga Retreat’. I hope you will find this website and my teaching inspiring and informative and I hope it encourages you to take that first step to discovering the endless possibilities, marvels and benefits of yoga. If you are thinking yoga is not for me, or you feel intimidated by some of the poses that you may see on social media, then let me reassure you, there is a style of yoga for ‘every body’, you do not have to be a contortionist or super fit or flexible. I believe all beings want to thrive, to live a healthy, happy and fulfilling life. A life of laughter, joy and abundance. I hope you agree. Yoga is a little like a diet, there is no one diet that fits all, we are all individuals and yoga is akin to discovering the perfect balanced diet and just as the correct diet can nourish and nurture you, so too can a regular yoga and meditation practice. Yoga is a holistic practice, it provides you with the tools and techniques to manage and care for our own health and wellbeing. Yoga is listening in and tuning into our body, mind and breath. In yoga "We use the pose to get into our bodies and not the body to get into the pose". With a regular consistent and disciplined practice you can reach optimal health and thrive and transform not just on your yoga mat but in your daily lives too. I began my yoga journey approximately 27 years ago. Fast forward to 2019 and I am now a qualified (BWY Dip) (500 hour) teacher and have been teaching for approximately 13 years. Having discovered the delights of a regular yoga and meditation practice I wanted to share this amazing elixir of life (yoga and meditation), and help others with their health and wellbeing and to empower them to be proactive and take control of their lives, to achieve balance in their daily lives and strive to find optimum health. 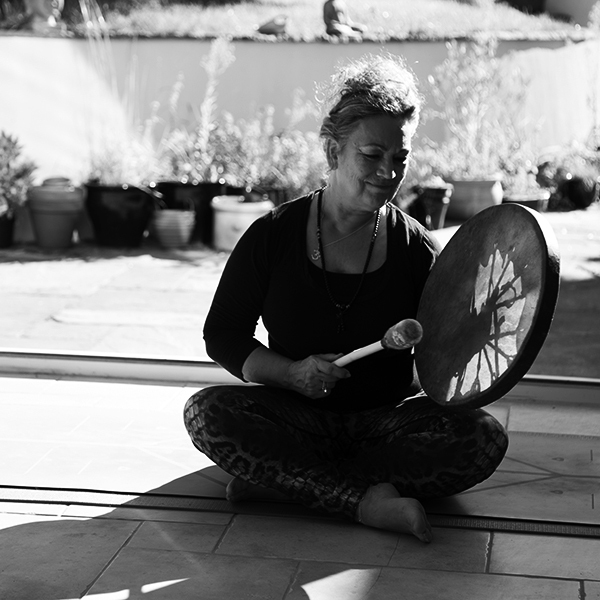 I believe there is always more to learn and I continue to develop my practice and teaching through attending various, workshops, intensives, retreats and training. I also have so much gratitude to my students because they teach me so much too. I spent many years working in a fierce corporate world, going through constant change, reorganisations, the pressures of targets and deadlines and being a perfectionist myself, took its toll on my health and wellbeing which eventually resulted in me becoming very unwell. This was the wake up call I needed and I realised just how important my own health and wellbeing truly is. I believe that those traumatic and stressful periods in my life were important lessons. They taught me a great deal, about myself and others and how to identify the 'triggers' that were unhealthy and caused me anxiety. My own illness taught me many things and most of all it taught me how to help others and how vital it is to look after ourselves, it taught me that in the Corporate and Business world employees are the lifeblood of an organisation. Organisations need to look after their employee's health and wellbeing and to value their staff. My background and career was in 'Learning and Development' and I have also managed and been the Project Lead on a number of Corporate Health and Wellbeing Projects. If you are interested in discovering more on my background and employed roles do take a look at my linkedin profile. https://www.linkedin.com/in/barbaraivesnorfolk/ I continue to work with organisations advising them on their employee Health and Wellbeing programmes and projects. Maybe from reading the text above you can tell why I chose to do the work I do, to serve others and to help them with their own physical, emotional and mental wellbeing, this is why I absolutely love the career I have chosen. I love sharing my knowledge, experience and wisdom of health and wellbeing, yoga and more. If you would like to hear a little more of my story and how I stumbled upon yoga, how it changed my life and transformed who I am today and how I achieved the dream of opening my own studio then please listen to my podcast (coming soon). I believe I offer a progressive holistic approach to health, wellbeing, healing and fitness, I see 'you' as a 'unique individual' and as a yoga teacher I take a holistic view of; your health, your lifestyle, your occupation, eating habits and diet. I can help you manage your physical, mental, emotional, and general health and wellbeing. Drawing upon my knowledge and many years of experience, self-practice and teaching I can provide you (the client) with the tools and techniques to empower yourself in developing a deeper understanding and awareness of your body and its' idiosyncrasies. Yoga recognises that we are all unique individuals and yoga isn't "a one size fits all" practice. Whether you wish to return to yoga after a spell of absence, try yoga for the very first time or a seasoned practitioner, I will guide you. 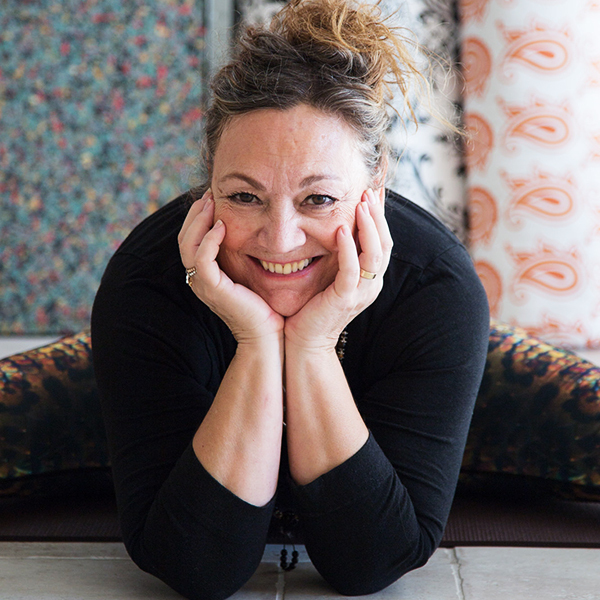 I offer various levels and styles of yoga classes, mindfulness meditation, group tuition, workshops, retreats, Corporate classes and events and specific celebratory events e.g hen parties, Birthdays and one-to-one appointments offering you a confidential and customised individual programme to suit your specific needs or the needs of the group. 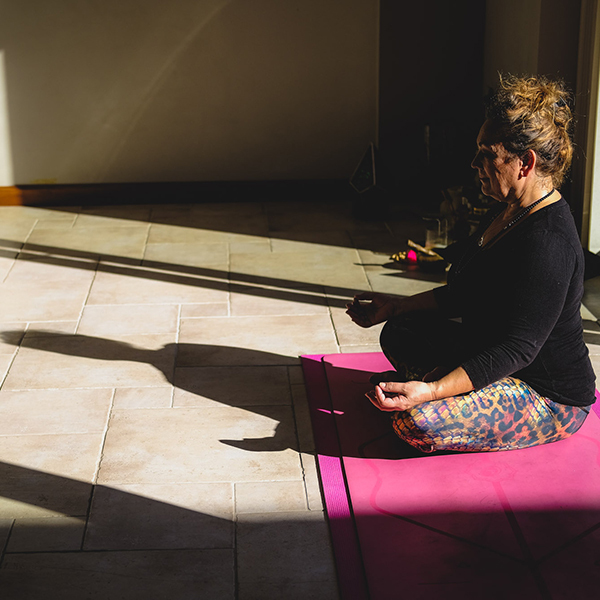 I also offer restorative and therapeutic yoga where I work with clients with various conditions, these range from mental health, anxiety, eating disorders, depression, general back complaints, chronic fatigue, stress and burnout, menopause, cancer and remission from cancer, auto-immune problems, rehabilitation from injuries, sports injuries plus many more unique issues and health. I also run Mindfulness, Meditation and Health and Wellbeing programmes for individuals, large and small businesses and groups. Having trained and studied with many outstanding teachers (to which I am extremely grateful) it is through my own experience and practice of yoga, meditation and teaching, I have developed my own unique style of 'yoga' and teaching and I teach intuitively adapting the yoga practice to suit the class or person I am teaching. My style of teaching comprises of a fusion of various styles of yoga e.g. 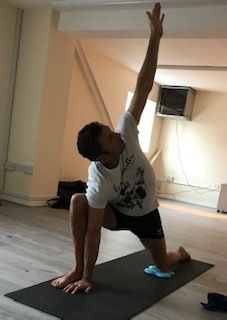 the precision, discipline and alignment of Iyengar yoga and the energising qualities of Ashtanga yoga to the flowing movement of Vinyasa Krama to the stillness and supported poses of yin yoga. For me, yoga is not just about the physical aspects, yoga goes so much deeper, yoga is a discipline, a way of life. I base my teachings on the origins of yoga, the philosophical texts that underpin the true purpose of yoga. These texts can teach us so much and serve as a guide or checklist on how to live our lives, to develop compassion and gratitude, to live in the present and to appreciate all that we have. Yoga is also about having fun, (yes I did say 'fun'), in yoga we learn to connect with our inner child, to be playful in our postures (asanas) and to trust our inner voice, wisdom and intuition and to be guided by this intuition and take what we learn on our mats into our daily lives. I believe yoga is for every body and if you can't get down onto the mat you can still practice yoga sitting on a chair. Aside from being a Yoga Teacher I am also a qualified Coach, I offer Life Coaching, Corporate Coaching, Professional and Personal Development Coaching along with Transformational Coaching. Using coaching techniques I can help you on your journey, to make changes (should you wish to make them), reach your aspirations and achieve your goals. But remember you are always the one in control of your destiny, health and wellbeing and ultimately your life. I want to work with people who are truly passionate about making change and are prepared to put in what it takes to make those changes, change habits and achieve their full potential. Change isn't always simple or pleasant and is often met with resistance. By having me as your Coach you are accountable to me and I will help you stay on track. But you have to be prepared to do the work. I absolutely love walking and being outdoors with nature, we are truly blessed with some wonderful walks in the Norfolk countryside and coast. Nature teaches us so much if we take the time to observe and listen. This is why I love the location of my studio it is surrounded by nature and so much wildlife yet major roads are close by. I am a qualified Nordic Walking Instructor and I run bi monthly introductory sessions and walks. If you are interested do look at my website Http://www.nordicwalkingnorwich.co.uk for further information. 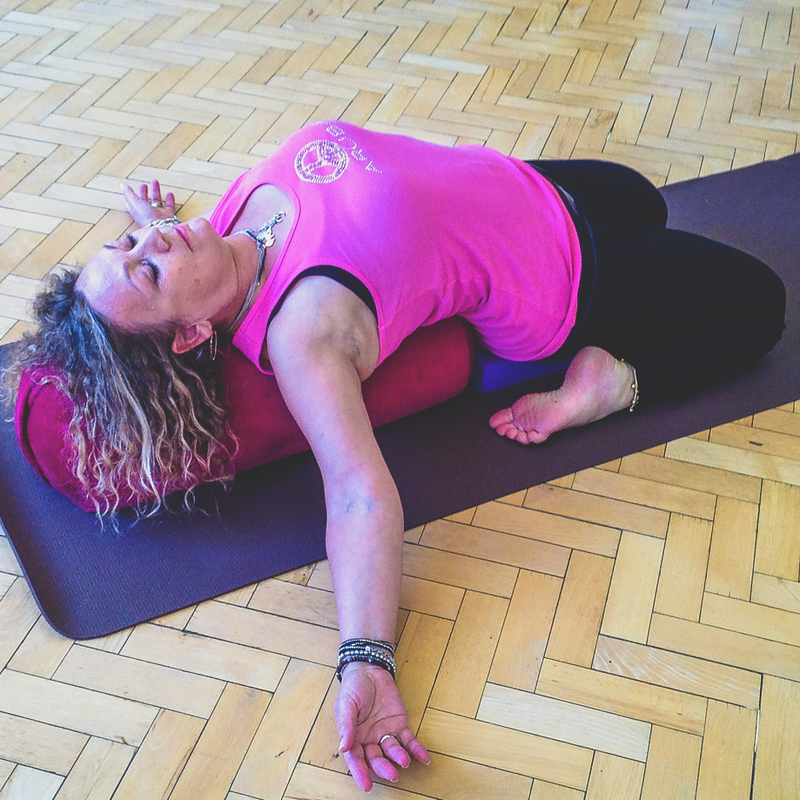 I very much enjoy collaborating with other yoga teachers, businesses and large and small organisations and charities. If you would like to work with me, do get in touch. 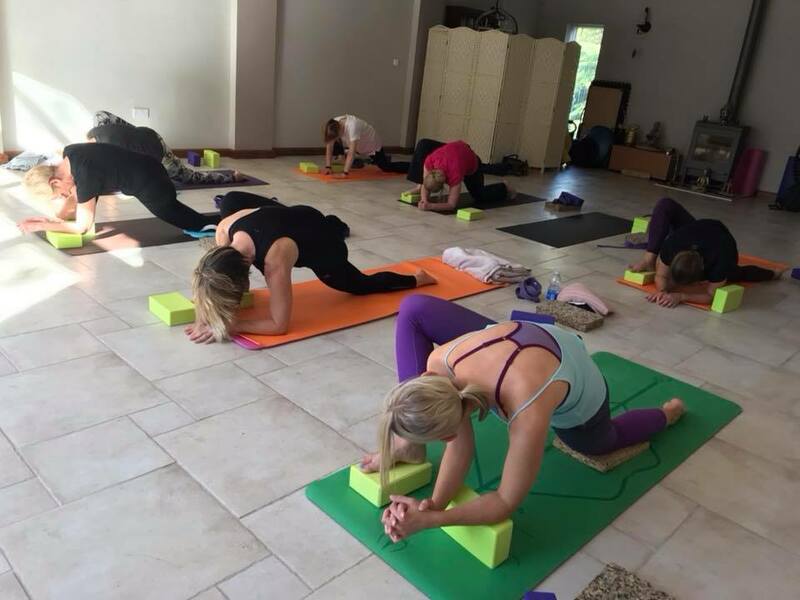 Monthly events and mini retreats at the Bhuti studio. If you are new to yoga or not wanting to participate in a class I offer private one to one sessions at my studio. Yoga, meditation, mindfulness and coaching available at your place of work. Life and personal development coaching offered, also coaching and mentoring for yoga student teachers and qualified teachers. I am often asked what the difference is between 'yoga therapy' and 'yoga'. I will explain briefly. I spend a great deal of my time as a yoga and meditation teacher working with clients on a one-to-one basis. I work with clients with all kinds of conditions, these range from cancer, back and neck pain, joint pain, chronic fatigue, mental health issues, anxiety, panic attacks, depression, musculoskeletal problems, physcial issues, migraine, insomnia, sports injuries, runners with tight hamstrings, bad posture, emotional problems such as, bereavement, grief, lack of confidence. I could continue but hopefully this provides you with an idea. Working in this way is very rewarding as a yoga teacher, it is wonderful when I see the positive benefits and my clients begin to see and feel the difference yoga has made. I don't claim that I can help everyone or that yoga is a cure but what I can honestly say is that with a regular yoga practice you will reap the benefits. 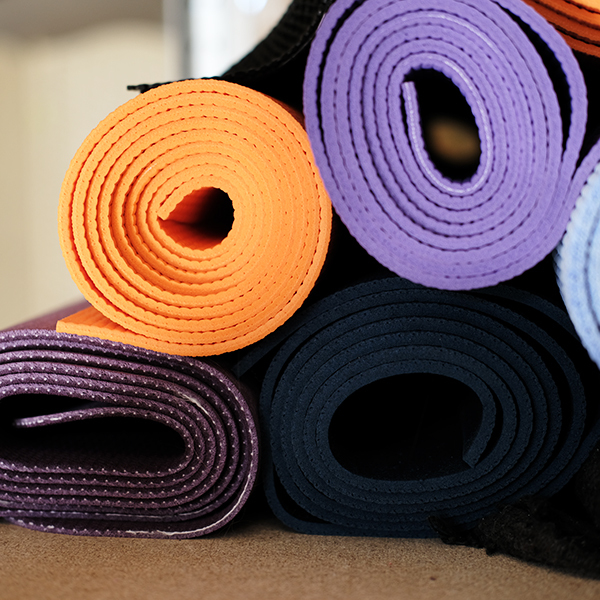 I will be talking more about yoga therapy in my forthcoming posts. By subscribing to the monthly newsletter you agree to Yoganorfolk storing your email address. To reassure you we don't send out spam, share or sell your information with any other parties.